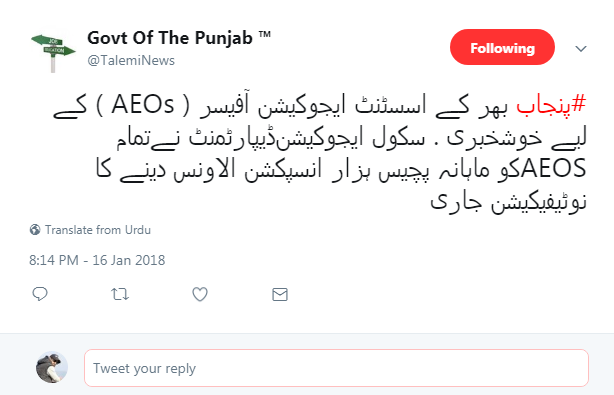 Lahore: Government of Punjab has Issued notification for the grant of Inspection Allowance to the Assistant Education Officers (AEOs) of School Education Department Punjab on monthly basis. 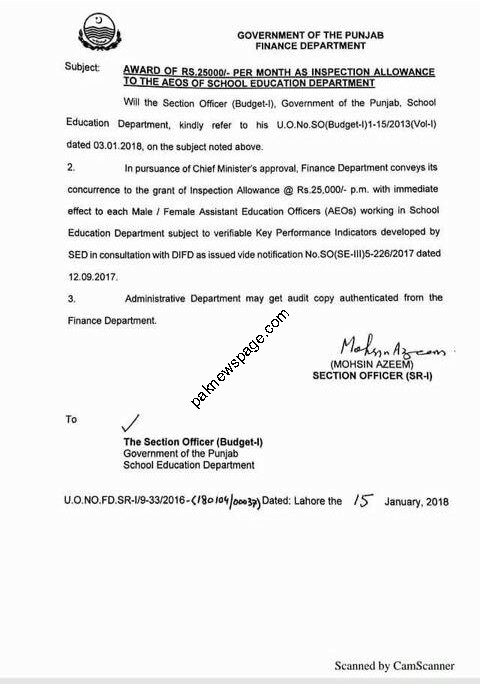 Finance department of Government of Pakistan has issued notification on 15th January, 2018 with reference number U>O>NO.FD.SR-I/9-33/2016-(180104/00037) which clearly stated that Assistant Education Officers serving in School Education Department will get monthly Inspection Allowance worth 25,000 PKR. 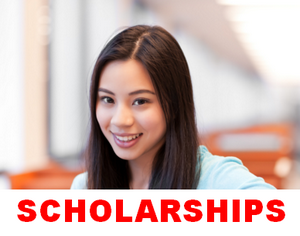 Chief Minister Punjab has approved Rs. 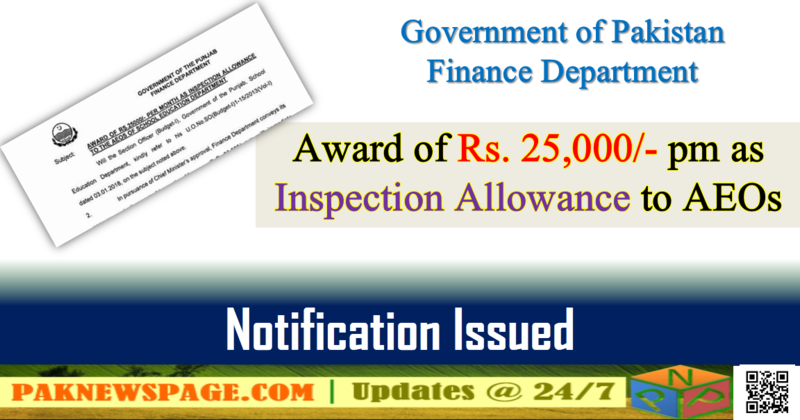 25000 Per Month as inspection allowance to all AEOs with immediate effect.